A street team is a group of fans that promote an album or musician on a grassroots level. From a record label or artist perspective, street teams offer a free promotion option. For fans, working on a street team gives them a chance to get hands-on experience promoting their favorite music. For labels and artists, street teams offer a little more than free labor, however. Music fans have a credibility with other music fans that no amount of advertising or number of reviews can quite match. Having fans of an album or artist out in their communities telling other music fans about how much they love an artist's new release is an incredibly valuable asset and one that cannot be duplicated by any other strategy. The work street teams do vary but can include efforts like passing out promotional stickers, putting posters up for shows and new releases, and calling local radio stations to request songs. There is also now a digital component to street teamwork that includes sending email blasts and posting about the artist or new release in chat rooms and social networking sites. Do You Need One Yet? This is a question you need to ask yourself based on where you are in your career. Do you have something to promote? If you don't have a new release out or at least forthcoming, it may be too early to worry about a street team. Do you have enough money to produce the marketing materials that a street team would use and distribute to promote you? Is your music polished enough to start pushing for wider appeal and a bigger audience? You don't have to have a big record label to have a street team. If you're an independent artist, assembling your street team can be very worthwhile. There's only so much you or your bandmates can tackle on top of the work you have to do as artists. Getting help with promotional efforts frees you up to focus on what you probably love more than marketing—making music. A street team can help you get the word out about you and your latest release, and they can do it from a place of sincere love and appreciation of what they're promoting. You'll want to find people you can trust and who want to help you. Starting with an online street team is a smart first step. It's easier to put together a group of people through social media, for example, who are excited to talk about you and recommend you. This will also give you a chance to try out promotional ideas and strategies, and to get feedback from your team on what's popular and works. As you get better at this, you can move on to starting an offline street team. When putting together your offline street team, you'll be best served to start in a local area where you are popular. It will make finding people who love your work and want to promote you easier, and you won't be trying to break into a brand new market when you're still building your promotional talents. Whether you're working on your online street team or your offline street team, keep a list of tasks for your teams to do. This is where having the money for promotional materials will come into play. Your street team's tasks can include things like tweeting and re-tweeting on Twitter, sharing your YouTube videos, posting flyers (they may even have the skills to help you create your flyers), calling radio shows to make requests for your music, bringing friends to your shows, and more. In exchange for their work, street team members get exclusive merchandise, concert tickets, and other special gifts. Of course, they also get experience. 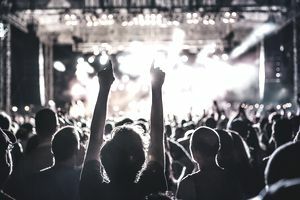 If someone is serious about getting into music promotion, having some street team experience can be a good way to get their feet wet, learning the process and strategies of promotion from the ground up.